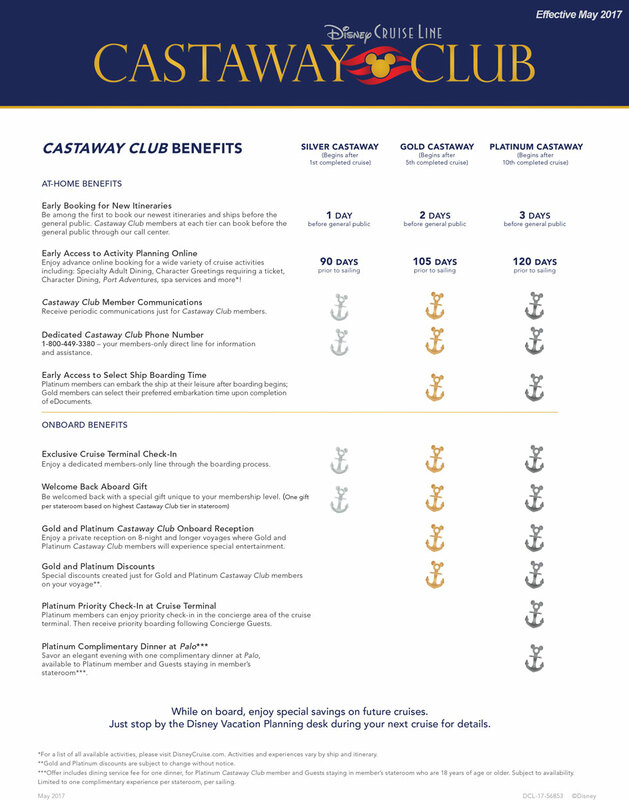 The Castaway Club is Disney Cruise Line’s version of a loyalty program for return cruise passengers. Unlike other cruise lines which take in consideration the number of nights you have sailed, Disney Cruise Line’s benefits increase based on the number of cruises you have sailed. Essentially, a 3-night cruise to the Bahamas earns a passenger the same credit as a 15-night Transatlantic cruise. Following your first cruise, you will be a Silver Castaway Club member. Gold Castaway Club benefits being after your fifth cruise and Platinum Castaway Club status following your tenth sailing. 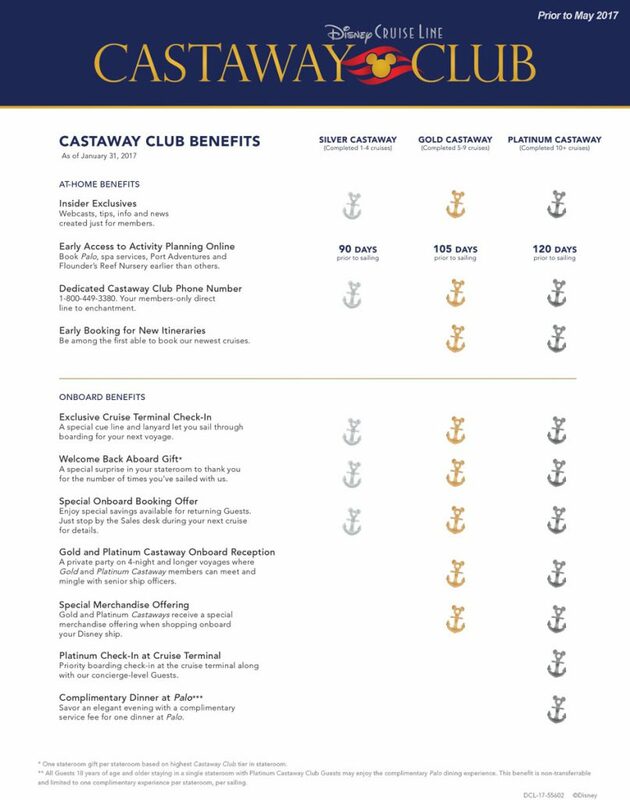 If your party consists of multiple members with different Castaway Club level status, the benefits for the stateroom, such as the welcome back gift, will be determined by the person with the highest level. Additionally, members have access to the Castaway Club eCompass online newsletter.